These worksheets are varied reading response/ comprehension/ grammar activities that support the PM Reader Series. All teacher-made. 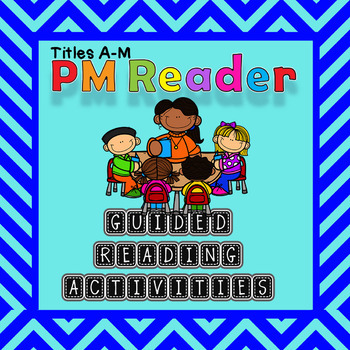 Included are 27 files/titles and 41 PAGES of activities (1-2 pages per title) All printable and geared to individual reading and comprehension ability levels. This is a great bundle - Check out my >PM Readers O-Zbundle as well! Years worth of custom made resources to support the PM series, all at the click of a button!